So, I love Fantasmic...a lot. It's my favorite Disneyland Resort show, and ALWAYS at the top of my Disneyland to-do list. We all know that New Orleans Square and the Rivers of America get crazy after dark. And that is, in no small part, because of Fantasmic. People bring blankets and reserve spots hours and hours in advance. We all knew that something had to change. Enter the Fantasmic FastPass system. Beginning this past December, a new system was introduced: You can get a regular FastPass behind Big Thunder Mountain Railroad first thing in the morning (World of Color style) or you can get a FastPass through a dining package at either Blue Bayou, Riverbelle Terrace, or Aladdin's Oasis. My husband and I were in line to get FastPasses right at park opening. We were one of the very first people in line and received one of the very first FastPasses! Yay, us! We were told where and when to come back and arrived early as well. We were one of the very first people in line to be seated. Yay, us...again! Then we were taken to...wait for it...a standing only area on the bridge by Pirates of the Caribbean. Ugh! Why weren't we sitting anywhere near the Rivers of America? We were one of the first people "seated." At least we were in the front of the standing only section, right? Then came the tap on my 6'4" husband's very tall shoulder..."My daughter can't see behind you. Can she stand in front of you?" Then another tap... Needless to say, my overly nice, overly tall husband watched Fantasmic from the back of the standing-only area. Fast-forward 4 months. Another trip to Disneyland. 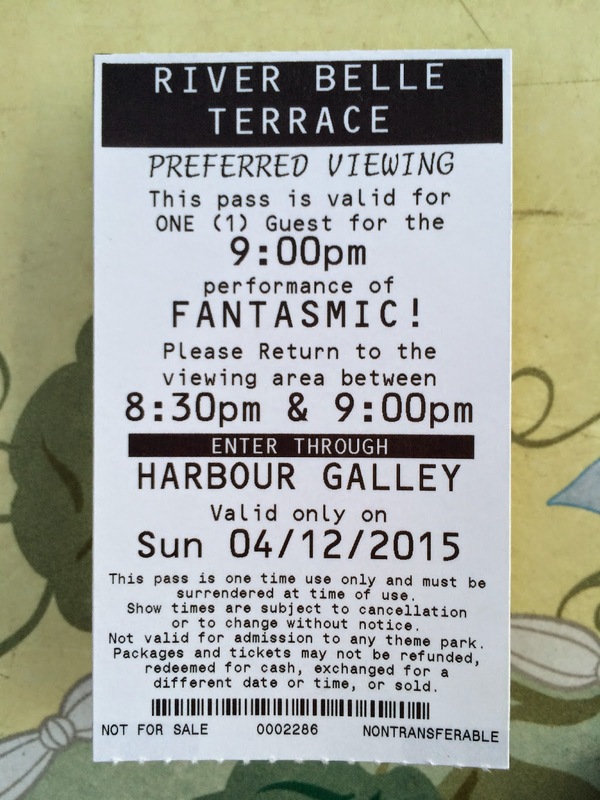 Another chance to see Fantasmic! Definitely NOT doing it the same way as before. 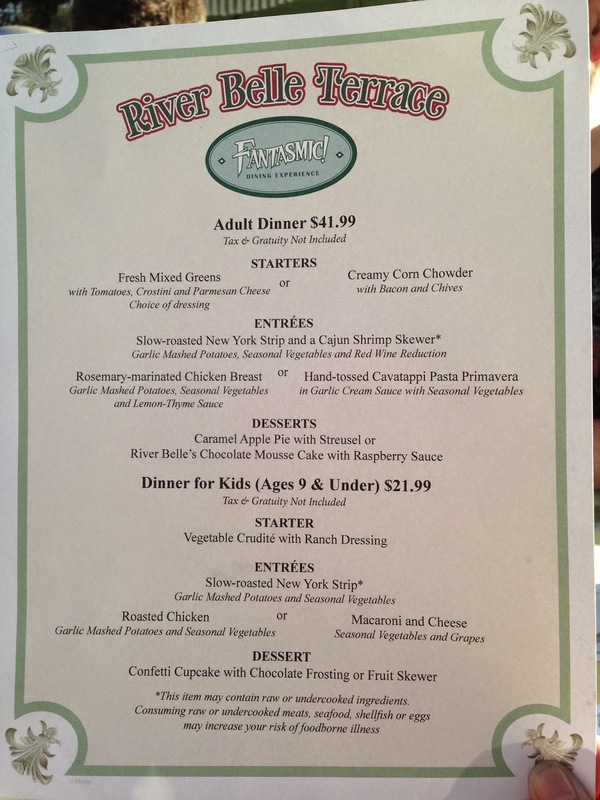 We chose to do the dining-FastPass package through the River Belle Terrace. (Truth be told, we wanted to do the dining package at Blue Bayou, but there were no reservations available.) 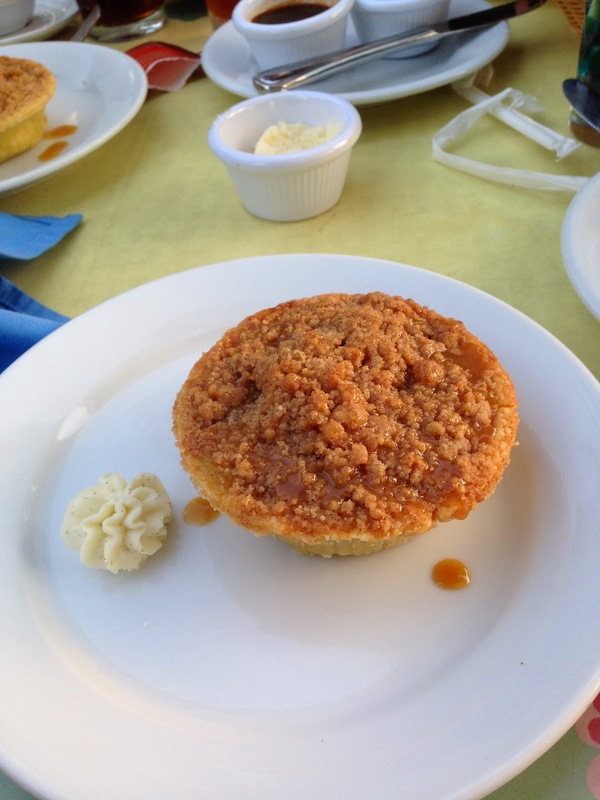 This is table-service dining, unlike the traditional River Belle experience. There was a set menu, with a set price. Beverages included! It's pricey, I know...But stay with me! 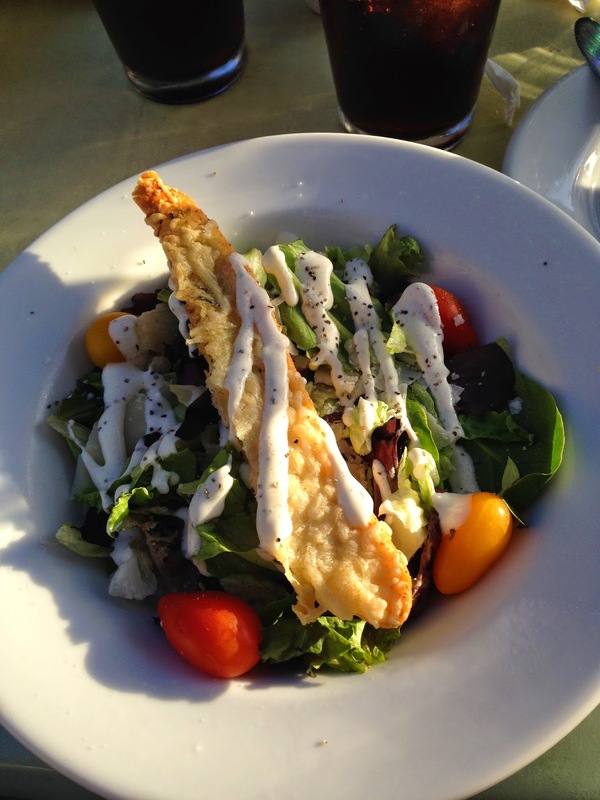 The 3-course meal started with soup of salad. We both chose salad. (It was too hot for soup!) It was delicious! Simple. Crisp. Refreshing. Yum! Next came the main course. 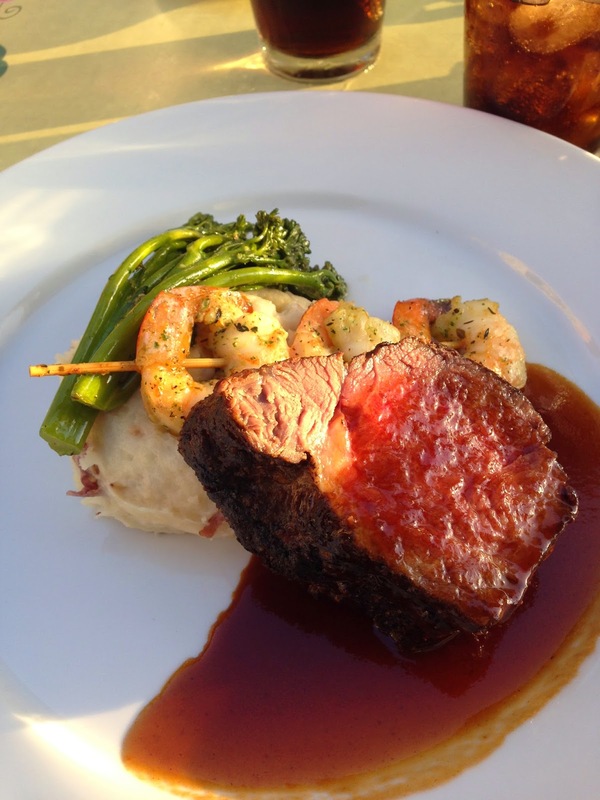 My husband had the New York Strip and shrimp skewer. 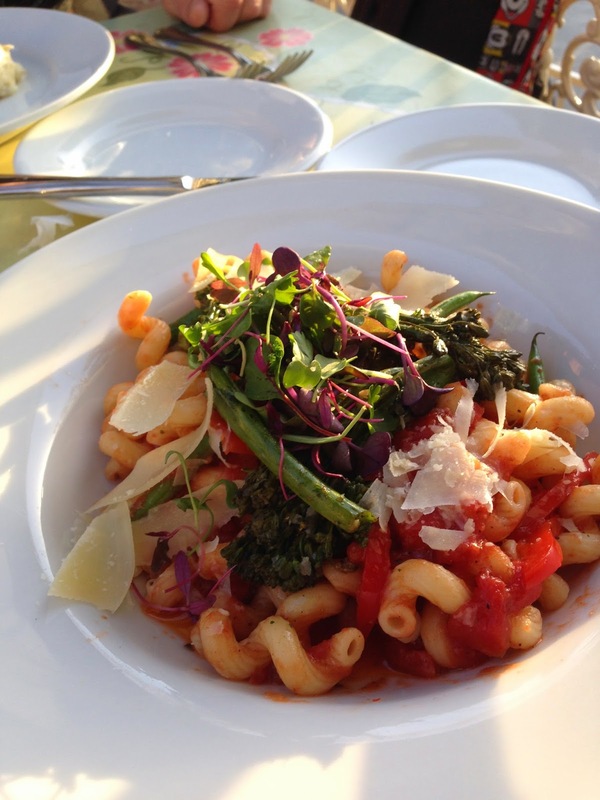 Naturally, as a vegetarian, I went with the pasta option. But, cream sauces upset my tummy, so I asked for a marinara sauce instead. They were happy to substitute. No questions asked! Again, yum! We were both more than satisfied with our dinners! Both were amazing! 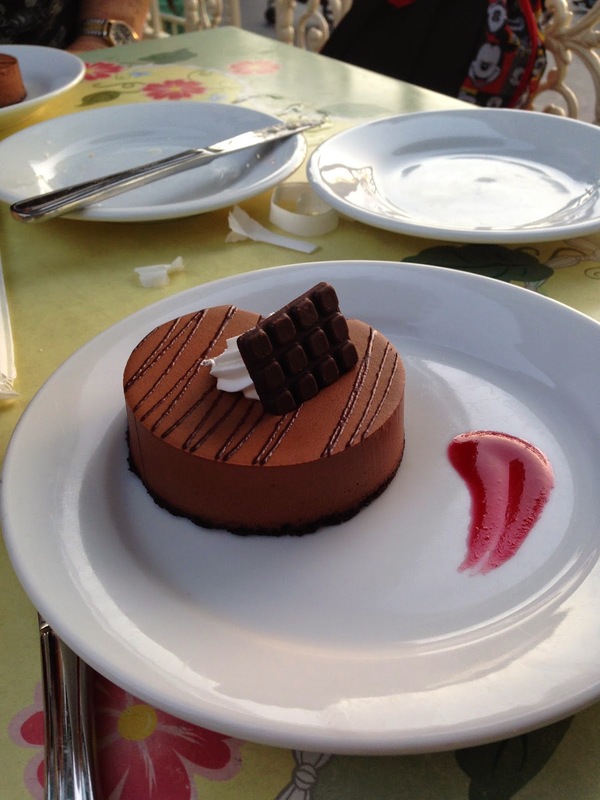 The mousse cake, by the way, tastes identical to the one served at Blue Bayou for birthdays, anniversaries, etc. Once the bill is paid, your server brings your FastPass tickets. We were told to line up at 8:30. I remembered my last experience with Fantasmic FastPasses. I asked, "So, 8:30 is the latest we should arrive. What time should we *really* get there?" The response: 8:30! Don't show up any earlier. So, 8:30 rolls around and we get in line. And the line is long...really long...Uh oh! I start to have regrets that I didn't go with my gut and arrive earlier. THE SEATS WERE AMAZING! BEST SEATS I HAVE EVER HAD FOR FANTASMIC! Right smack in the center of the Rivers of America. only one row of people in from of us. Less than 20 minutes to wait for the show to start. Perfect! Moral of the story? 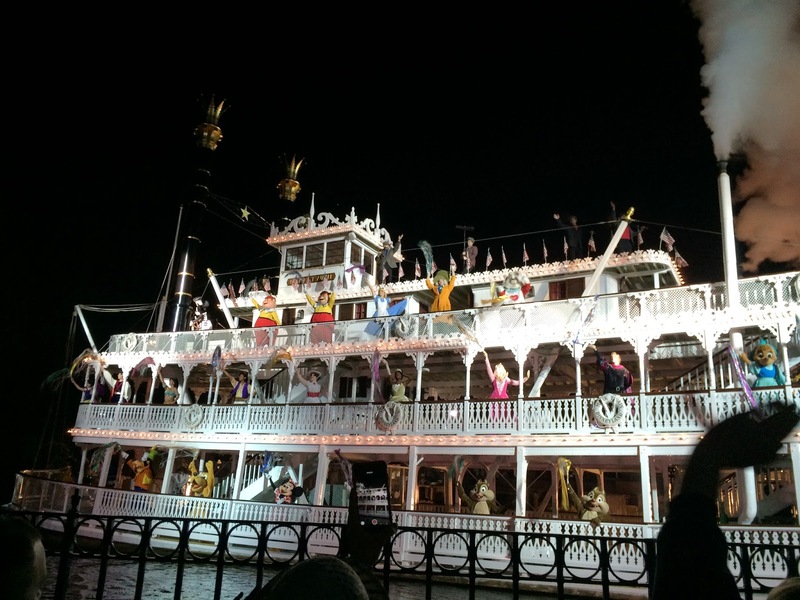 If you love Fantasmic, set aside one night with a higher budget, make reservations, and splurge on the dinner-FastPass option.